Simple yet effective. The ideal garment for any workout or simply at and about. Pull on this adidas D2M Logo T-Shirt in Black. The adidas D2M Logo T-Shirt is a stretchy construction that features short sleeves and a crew neck. It's crafted with Climalite technology that wicks sweat away from the skin, and a mesh panel on the back to help air circulate around the body. 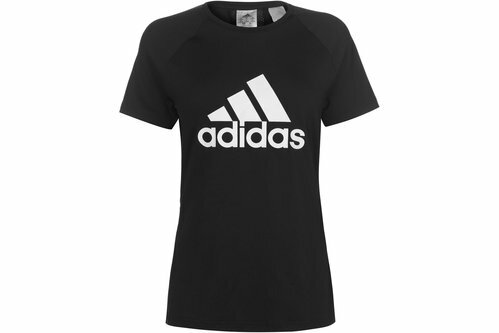 adidas branding is printed across the chest to complete the design.